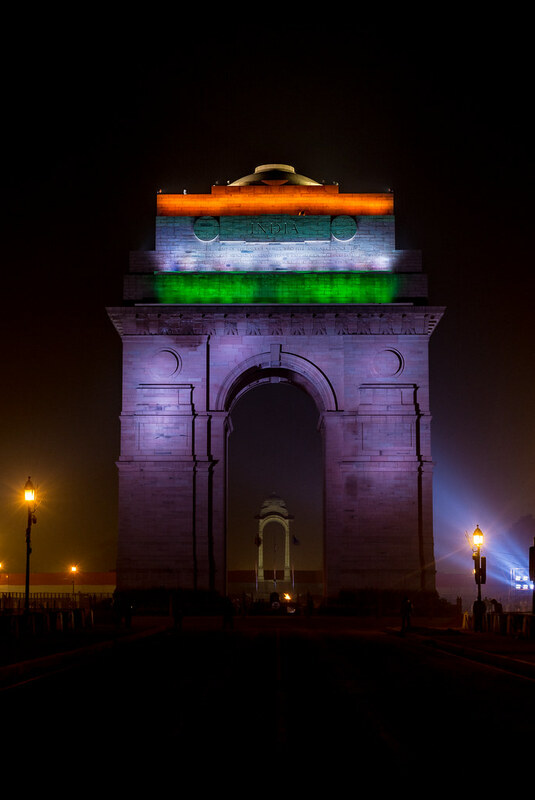 I did enjoy seeing different lightning on India Gate, the image above has a few minor edits but it is mostly straight out of the camera. The muti-coloured lights are from the camera not Photoshop on that! This is an example of nighttime photography. Given the slow shutter speed, the camera is on a tripod, which was really good as I could keep my hands in the pocket because it was really cold outside.